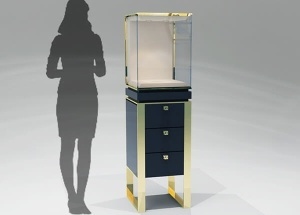 This perfume showcase display: 5 wooden shelves, storage with hinged door (can lock). contact us to get a free quote. 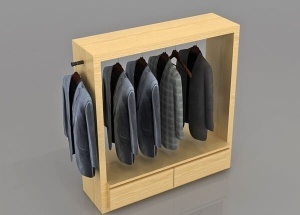 This garment hanger stand are made by black stainless steel and wood veneer finishes. 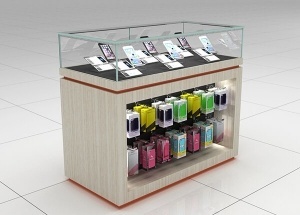 It's a free standing garment gondola for clothes shop. 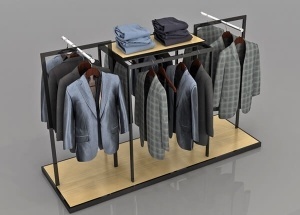 This apparel display racks are made by black stainless steel and wood veneer finishes. 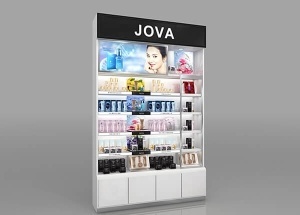 It's a free standing garment gondola for clothes shop. 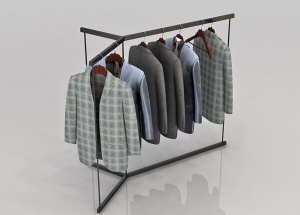 This boutique racks are made by black stainless steel and wood veneer finishes. 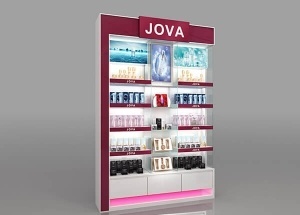 It's a free standing garment gondola for clothes shop. 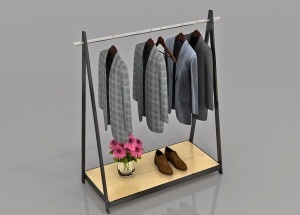 This 3 way clothes racks are made by black stainless steel. 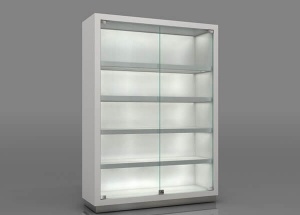 It's a free standing clothes gondola for boutique shop.